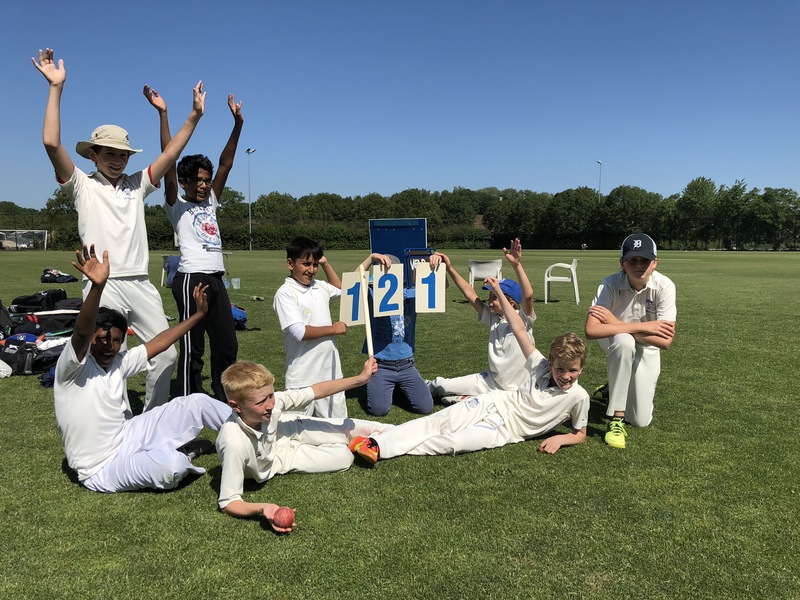 In de uitwedstrijd tegen ACC won Kampong U11 opnieuw: het team heeft zich gaandeweg het seizoen enorm verbeterd en is nu al vier wedstrijden op rijs ongeslagen. Kampong won again (4-in-a-row! ): 119 v 99 vs ACC (after wickets taken in to account). Kampong won the toss and elected to bowl. Tom, as captain, got everyone organised and chose himself to bowl first. We are used to him getting at least a wicket in his first over, but this time it wasn’t to be the case. But that didn’t matter as the whole team bowled and fielded well – the best we’ve seen yet – and managed to take 8 wickets in total. ACC batted well when they were given the chance, and managed to take a few boundaries. But on the whole Kampong did a great job of containing their run rate. After the break, Tom and Julian opened the batting and managed to score 24 runs between them (17 from Tom), and including wides and wickets we were on 54 runs – chasing 96 – after just 4 overs. The kids chose to play tactically thereafter, going for quick single runs and minimising risks. This ultimately paid off, losing just 2 wickets in 16 overs and winning by a margin. This was a performance of champions and a very different match from when they lost against ACC in the first round. It’s now a 3-way race to be top of the group – with ACC and VRA ahead, having played 1 game extra. Kampong need to win their last 2 games to stay in the hunt!